Whether you’re at the office or traveling, being without your brewing utensils can be every tea drinker’s worst nightmare. The good news is that all you really need to make tea on the road is the leaves, some common household items and a little ingenuity. Successfully heating water without a tea kettle is daunting but not impossible. Whenever it’s an option, I prefer to heat water using a saucepan on the stove. When I need the water to be cooler than boiling, I’ll use a food-safe thermometer to check the temperature. If you don’t have one handy there’s an old Chinese method that can help to get an approximate measure. When traveling, I don’t like to use the hotel room coffee pot because it will usually leave my tea tasting like Folgers. While not the preferred method, microwaves will usually prove more useful. Caution is key because it’s possible to superheat the water. Placing a non-metallic object in the container prevents this catastrophe. A wooden spoon or chopstick does the trick! Keurig coffee makers are not recommended for brewing tea but they can definitely be used to heat water. Tea needs to be infused for several minutes so running water through—as with these types of machines—it will not achieve full flavor. To task the Keurig to heat your water, I recommend using the same steps as you would for coffee, except forget the cartridge. 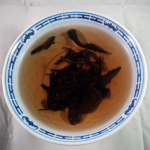 The water will usually come out a bit less than boiling, making it ideal for teas that require a lower temperature. Craving tea but don’t have any tools with you? All you really need is a tall drinking glass. Place a thin layer of leaves at the bottom and fill with water that is slightly cooler than you might normally use. Your teeth will need to act as a strainer when you sip. It may take some practice to achieve mastery but you’ll get the hang of it no time. Add water whenever you get near the bottom in order to prevent bitterness. This method is often referred to as “grandpa style” because it’s common to see older people drinking this way in China. It is one of my favorite ways to brew green teas like Dragonwell or Bi Luo Chun. It’s important to make sure your brewing vessel is tempered glass so that it can safely withstand the heat. Another seemingly simple but slightly more advanced method uses nothing but a wide mouthed bowl. Just place a scattering of leaves in the bottom and carefully fill with water. Refill as you sip until the leaves do not give anymore flavor. 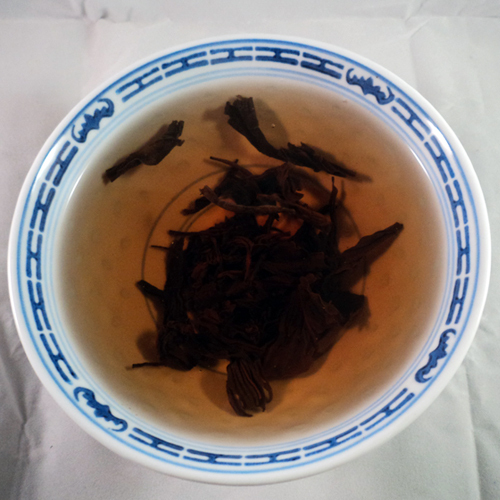 Large leaved teas like Dian Hong are best for this method because they usually sink to the bottom. My favorite vessel for bowl brewing is a rice bowl that I picked up at an Asian market few years ago. When hot water isn’t available, cold water can be used to make iced tea instead. Just place the leaves in cool water for six to eight hours. 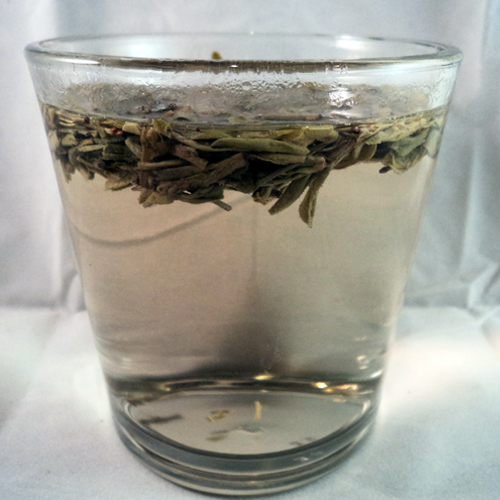 Glass containers like mason jars work best for loose leaf while water bottles will suit most types of tea bags. This method works particularly well for green teas or fruity flavored blends. The most important thing to remember about brewing tea is that there is no right or wrong way to do it. What matters most is that you enjoy the end result. Nicole is a New Jersey native with a passion for everything tea. She loves to learn and share her tea knowledge, which she does through her fun and informative tea blog, Tea for Me Please.